Alisa Ganieva’s Салам тебе, Далгат! (Salam, Dalgat! in Nicholas Allen’s translation), winner of the 2009 Debut Prize for long prose, is a wonderful example of fiction where form and content complement one other, creating a harmonious, readable work that has more depth than you might initially feel or see. (Regular visitors to the Bookshelf know this is my favorite kind of fiction…) Ganieva’s long story describes a day in the life of Dalgat, a young man who travels around Makhachkala, Dagestan, on a mission to find a relative, Khalilbek. Salam, Dalgat! opens at a market, among soaps, shampoos, henna packets, raspberries, grape bunches, pomegranates, sad-looking kittens, and sellers’ pitches… and closes hours later, after Dalgat has, among other things, experienced a minor mugging, sat for a bit in a café, and witnessed such events as a literary ceremony and a shooting at a wedding. Ganieva moves Dalgat—and the vignettes that accumulate to form a plot and collective portrait of a time and place—at a brisk but rational pace, weaving in language as varied, colorful, and juicy as the market goods on the story’s first pages. I found Salam, Dalgat! particularly interesting because Ganieva also works in cultural observations of what she calls a “troublesome” place: young women discuss clothing, men discuss Islam, and a female friend of Dalgat’s discusses her plans to relocate to St. Petersburg. With its mixture of humor, tradition (wife stealing even gets a mention, though a character says that’s a Chechen habit), and a sense of alarm about the future, Salam, Dalgat! felt unusually energetic and organic, all as poor Dalgat, seeking but never quite managing to find, trots along, a perfectly agreeable, generally patient, nearly blank slate of a character, the ideal figure for a reader like me, who’s never been to Makhachkala, to follow. I should note that Ganieva submitted Salam, Dalgat! to Debut under a male pseudonym, Gulla Khirachev, because Dagestani women aren’t supposed to move around in public as freely as men… or write about what happens on the street. Based on her comments about reactions to the story, it sounds like Ganieva succeeded in inspiring social discussion with Salam, Dalgat! I enjoyed the social aspect of Salam, Dalgat! but, given my readerly biases, wouldn’t rate the story so highly if I didn’t think it was nicely composed, falling into a category of writing that writer Olga Slavnikova mentioned during a Debut Prize event in Boston last Wednesday evening: “физически сильный текст,” a “physically strong text” or “physically sound text.” Slavnikova, who serves as director of Debut, used the term (which she borrowed from a critic) to describe the work of Debut winners and finalists. I’m sure sound texts are a big reason so many Debut writers continue to find success: works by Ganieva and Irina Bogatyreva, who was also in Boston, were nominated for this year’s National Bestseller award. The other two writers visiting Boston—Dmitry Biryukov, who won Debut’s journalism award in 2005, and Igor Savelyev, whose Бледный город (Pale City), a long story about hitchhiking, apparently has quite a cult following—were also fun to hear. Biryukov and Savelyev both work days as journalists, and both continue to write outside work. Both also continue to read and value Russian “thick journals”; the panel’s consensus was that journals retain an important, prestigious place in Russian literary life, despite diminished circulation figures. Biryukov is working on a novel; the excerpt I heard from his story Улица Урицкого (Uritsky Street) had a nice retro feel. The narrative voice of Savelyev’s Pale City, which was published in the journal Novyi mir in 2004 and made the Belkin Prize shortlist that year, is invitingly chatty. I’m sure I’ll be writing more about these and other Debut writers, and not just because a delegation of Debut winners and shortlisters will be at BookExpo America in June. I have books from several other “Debutnik” winners and finalists—including Sergei Shargunov and Natal’ia Kluchareva—on my shelf, waiting. Causa Artium, the organization that organized the Debut tour, has links on Facebook to press items about events. 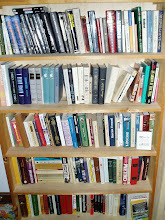 Several books published by Glas contain translations of Debut writers’ work. Among them: Ganieva’s Salam, Dalgat! is in the Squaring the Circle collection, and Off the Beaten Track contains Savelyev’s Pale City as well as Bogatyreva’s Off the Beaten Track. Some stories in the Rasskazy collection published by Tin House (previous posts) were written by Debut writers. A Big Pile of Disclaimers: I’ve known John William Narins, of Causa Artium, the organization that organized the Debut tour, for (oh my!) decades. I’ve collaborated with Natasha Perova of Glas, which has published books of Debut Prize writers’ work. (I even translated pieces for one of those books.) And I’ve thoroughly enjoyed meeting writers who’ve come to the U.S. and England on Debut tours. Up Next: Translation roundup. The list keeps growing! Then Roman Senchin’s Информация (The Information) and Irina Bogatyreva’s Comrade Anna, which I’m looking forward to very much. 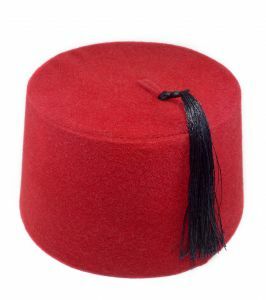 Fez isn't about a hat. First, a bit on expectations: Gleb Shulpyakov’s Фес (Fez) isn’t about cylindrical red hats with tassels, though Fez’s part-time narrator does cover his head with a fez at one point in the book. And Fez doesn’t seem to take place in Fez, Morocco. But who knows? The most important exotica here—despite mentions of specific places like Moscow and Vienna—is abstract and spiritual, a place in the consciousness. A summary of this short, novelesque work with a broken narrative might start with something like this: An unnamed Moscow publisher with business troubles takes his wife to the birth house, goes home, and somehow ends up a prisoner in a basement in an unidentified place. A place one might think is Fez. Fez’s allegory of unnamed man’s journey to rebirth, which occurs roughly simultaneously with the birth of his child, had lots of potential—he’s a prisoner, he escapes, he seems to be in a boat with a Charon-like guy, he reflects on his life, he meets a woman and they talk about freedom, and he comes to terms with what’s happening—but I thought the book’s end message felt too usual, too expected, too close to hokey, particularly because most of Fez seemed intentionally cryptic. And Shulpyakov didn’t win many points from me for his inclusions of dreamy states, doors leading to new lives that avoid former emptiness and constraints, and eastern themes. These are elements I’ve seen a lot, elements that are only interesting if a writer gives them unexpected angles. Shulpyakov sometimes manages to do that: he’s also a poet, and his uses of language and imagery were the biggest positives in Fez. Small highlights included a memory of a Soviet-era building in Minsk, self-deprecating humor, and a lovely vision of morning lights. But there weren’t nearly enough of those moments to perk up all the familiar material, especially since the literary devices in Fez—which contains sections with first-person and third-person narrative, chronicle-like passages, a few pages in what appears to be Arabic (I have no idea if it’s a logical text), and a page with only lines of dots/periods (an excerpt: “………………………….”)—struck me as self-conscious attempts at creating something postmodern rather than ways to add true depth, wisdom, or intellectual excitement to the book. My primary impression of Fez is that I went into the book thinking it sounded like yet another parallel reality novel, which it is on a certain level, and came out of Fez reminded of commenter Alex’s mention of “stories about careworn middle-aged Russian men finding satori” in the comments about my post on Oleg Zaionchkovskii’s Happiness Is Possible. I think I’d recommend Fez most to readers who have much more patience than I with the combination of spiritual material and literary devices that Shulpyakov employs. Fez just isn’t my kind of book but, to be fair, Shulpyakov’s Web site displays positive critical reviews, some of which contain gargantuan spoilers. Up Next: Alisa Ganieva’s energetic, colorful long story Салам тебе, Далгат! (Salam Dalgat! ), a nice antidote to Fez: the story presents a down-to-earth portrait of a young man’s day in Dagestan. I’ll combine Dalgat with a brief trip report since Ganieva is in the Debut Prize group I’ll hear speak in Cambridge, MA, on February 22. Then a translation roundup and Roman Senchin’s Информация (The Information). Image credit: topfer, via stock.xchng. Most of this year’s 45 nominators seem to stick to the award’s main principle of recognizing and promoting writers whose books haven’t—yet—become bestsellers. Even if this is only the third consecutive year, it seems that someone nominates Viktor Pelevin every damn year: this year critic Veronika Emelina did the honors, nominating Pelevin’s S.N.U.F.F., which (I wouldn’t-couldn’t make this up), as I post on February 12, 2012, tops the sales lists on pro-books.ru. Last year’s Yasnaya Polyana award winner, Mikhail Tarkovskii, was nominated for Распилыш, which drew my attention because it was first on the list and because its title is rooted in words related to sawing, like распил (saw cut) and распилить (to saw up). (Translation credit: Oxford Russian-English dictionary.) It turns out that распилыш (raspilysh) is a term for used Japanese cars that are imported to Russia in pieces, to avoid import duties. The things I learn through these book titles! Appropriately, Tarkovskii’s book was nominated by Vasilii Avchenko, author of Правый руль (Wheel on the Right), a book about, yes, Japanese used cars in the Russian Far East. Three books were nominated twice: Aleksandr Grigorenko’s Мэбэт. История человека тайги (Mebet. The Story of a Person from the Taiga), a book Lev Danilkin says is initially difficult to read because it’s filled with unfamiliar terminology and names, though he says the text in this novel about a favorite of the gods quickly becomes transparent. The other books nominated twice are Nataliia Sokolovskaia’s Любовный канон (something like The Love Canon), a collection of stories, and Anna Starobinets’s Живущий, a novel in which all of humanity becomes the one living organism of the title. Yikes! Two books were written by writers who will be at the East Cost “Primary Sources” events I mentioned in last week’s post: Irina Bogatyreva’s Товарищ Анна (Comrade Anna), a story collection that sounds like fun, and Alisa Ganieva’s manuscript Праздничная гора, which could be something like Holiday Mountain or Festive Mountain. I’ll try to remember to ask her about it! What else? I was more than ecstatic to see that Vladislav Otroshenko’s manuscript of the collection Языки Нимродовой башни (The Languages of Nimrod’s Tower) was nominated: I’m finishing a translation of the title story. I was also very happy to see Roman Senchin’s Информация (The Information), which friends just brought me from Moscow. And I’ve enjoyed reading Iurii Buida, so was glad to find his Жунгли (The Jungle), a collection of stories, on the list. Three others: Lev Danilkin nominated Vladimir Mikushevich’s Таков ад (perhaps a jaunty That’s Hell for You... for some reason, I like this book’s title), a collection of stories Danilkin says are strange, carnivalistic apocryphal works; his blurb gives the impression that they are both funny and fun. Finally, one author, Aleksei Nikitin, had two books nominated: Истеми (İstemi), a NOSE longlister about students in 1984 who create a geopolitical game, and Маджонг (Mahjong), which sounds even more cryptic, with its sleep/wake theme. Another Author Event Note: Writer Andrey Kurkov will be making several appearances in New York and Connecticut this month: the evening of February 21st at R.J. Julia Booksellers in Madison, CT; noon on February 23rd at the Harriman Institute in NYC, and the evening of February 23rd at Partners & Crime Bookstore in NYC. I didn’t even realize Melville House has brought out another of Kurkov’s books: the new book is The Case of the General’s Thumb. Disclosures: I have met or translated work by several writers mentioned in this post. Up next: Gleb Shul’pyakov’s Фес (Fez), which was a somewhat disappointing up-and-down experience, Alisa Ganieva’s Salam, Dalgat!, an ever-growing translation roundup, and Petersburg-Leningrad. The 2012 NOS Literary Prize was awarded yesterday to Igor’ Vishnevetskii’s Ленинград (Leningrad), a work that takes place during the beginning of the blockade of Leningrad and includes passages with documentary material and poetry. Vishnevetskii has cited inspirations such as characters in Andrei Bely’s novel Petersburg, whom he imagined in new situations, and Sergei Loznitsa’s film Блокада (Blockade). Though Leningrad is available online, from Novyi mir on Zhurnal’nyi zal, it doesn’t appear to have been published in book form. I hope that changes: I’d love to read Leningrad but it has the look of a complex work that I want to read as a physical book, not as a printout or file for the e-reader. I read portions of an interview with Vishnevetskii, who is also a poet and music historian, but had to stop: the book already intrigues me so I don’t want to know more! The NOS reader’s choice award went to Andrei Astvatsaturov for Скунскамера (Skunkamera). I listed NOS finalists in this previous post. Another award: poet and prose writer Nikolai Kononov (whose novel The Flâneur was also on the Nose shortlist) won the Iurii Kazakov award for 2011 for his short story “Аметисты” (“Amethysts”), published by Znamia in August 2011. OpenSpace.ru’s item about the award lists five other finalist stories, some of which are also available on Zhurnal’nyi zal. Three other stories—Vsevolod Benigsen’s “Глебов-младший” (perhaps “Glebov the Younger”… depending on context and tone), Leonid Iuzefovich’s “Поздний звонок. 1995” (“A Late Telephone Call. 1995”), and Marina Vishnevetskaia’s “Бабкин оклад” (“The Old Woman’s Icon Frame”… a quick glance makes it look like that’s the kind of “oklad” that’s intended, not a salary! )—were also published in Znamia. Ksenia Dragunskaia’s “Куртка Воннегута” (“Vonnegut’s Jacket” – the title plays on the Russian word for jacket, kurtka), appeared in Novyi mir in May 2011. The last story is Anna Matveeva’s “Обстоятельство времени” (perhaps “The Circumstance of Time”). Academia Rossica wrote to ask if I would mention their fourth annual Rossica Young Translators Award. I’m very happy to: this is a wonderful competition that the organization says is “designed to inspire and encourage young translators from Russian around the world and expose them to the best of contemporary Russian literature.” Translators must be no older than 24 at the submission deadline, which is the ides of March. Entrants must translate one of three brief passages; the excerpts are taken from recent books by Viktor Pelevin, Figgle-Miggle, and Dmitri Bykov. Further information is available here. Finally, Causa Artium will host five Russian writers at “Primary Sources” events in four locations on the East Coast: Washington, DC, on February 15, New York City on February 18, Bard College on February 20, and Boston (well, Cambridge...) on February 22. The writers are novelist Olga Slavnikova, who heads up the Debut Prize, and four Debut winners and finalists: Alisa Ganieva, Dmitry Biryukov, Irina Bogatyreva, and Igor Savelyev. I’ve enjoyed hearing Ganieva, Bogatyreva, and Savelyev speak at book fairs so am looking forward to the Boston event. Let me know if you’ll be there so I can look for you! All four events are free. And refreshments will be served. The event has a page on Facebook, here. P.S. Here's an article from OpenSpace.ru that analyzes jury discussion and lists votes. Disclosures: The usual... I know/have met with people from some of the organizations mentioned in this post.